Assaulting a target from space is a staple in many movies and science fiction books. Hordes of drop ships braving enemy defensive fire to land their troops on the ground. Sounds exciting and dangerous. It is a trope that has been beat to death. The biggest thing that most stories get wrong is that a planet is a very big place, it is massive. You could land a million troops and it could take them years to march close enough to fight, especially if there are oceans, mountains and other forms of rugged terrain. 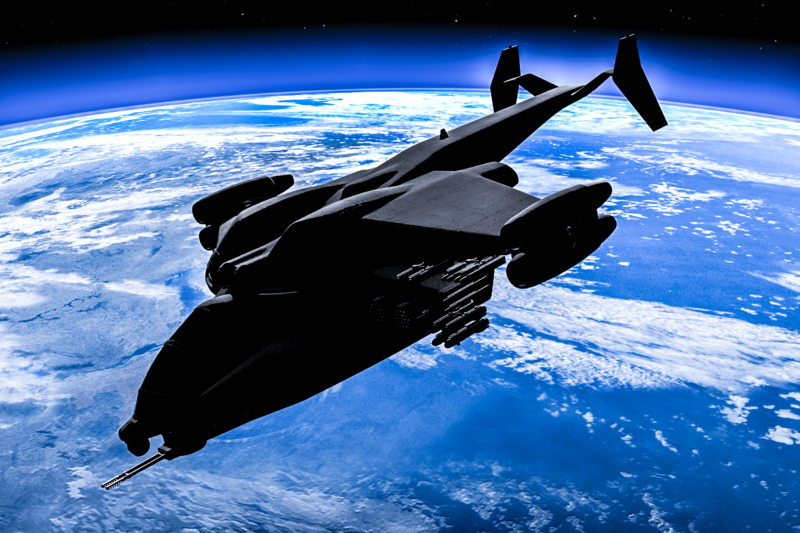 Consider the logistics of a space fleet required to transport and supply those million troops. The logistics are staggering. 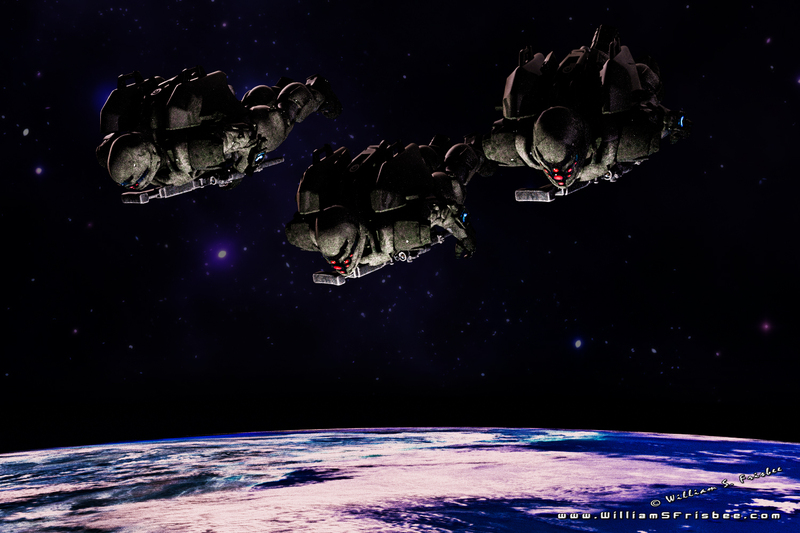 The overall goal of a space assault is to get troops from space to the ground, with most of them actually being alive. It is also important to get them close to a target so they don’t have to spend a year or two marching to the attack. Drop Ship – carries lots of troops and possibly vehicles. A nice big target. 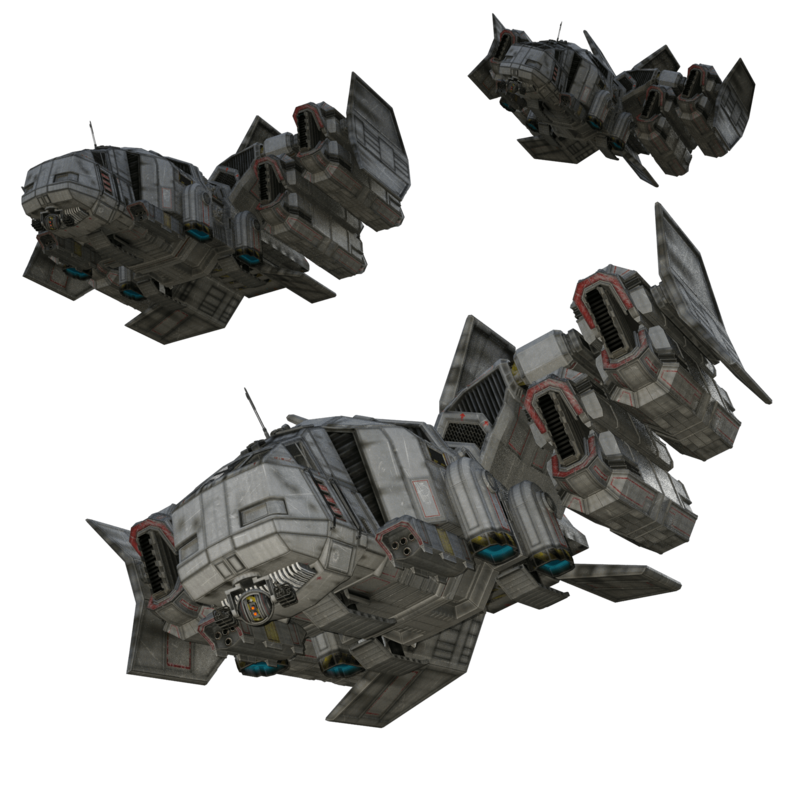 Drop Shuttle – carries a decent amount of troops. Not as big as a ship and considered more expendable (if you aren’t one of the people riding it). May be designed as a one way ticket or it might be able to return to orbit. Might carry a vehicle or two. Drop Pod – usually a one man, or four man pod that is a one way ticket. Generally disposable and not designed to return to orbit. Drop Suit – the amount of heat protection required may make this impractical unless the drop trooper wants to spend a LOT of time dropping. Now let’s bring reality into this. 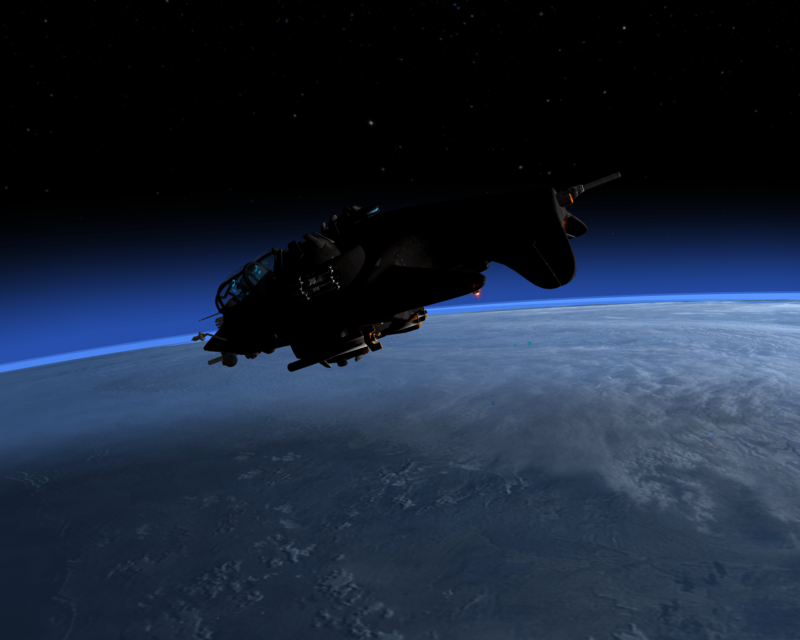 The faster a shuttle enters the atmosphere the more heat it will have to deal with. The bigger the shuttle the more heat. This shuttle is not coming down from about 15 kilometers, or fifty kilometers. Atmospheric entry is a big deal. Atmospheric drag and aerodynamic heating can cause smaller objects to disintegrate. Using NASA’s space shuttle as a base line, it can reach the ground in about an hour. At about 129km it above the surface it begins to encounter the atmosphere and it is still 8,000 kilometers from the landing site. (For comparison the Venusian atmosphere is about 250km and Mars is about 80km) During this ‘casual’ landing the heat can get as high as 3,000 degrees Fahrenheit (1,648.9 degrees Celsius) on the leading edge (Tantalum melts at 5400 degrees, carbon steel at 2800 degrees). The shuttle’s ground track makes a really elongated “S” to break speed. I won’t go into more details, but suffice to say a 20 minute drop straight down through the atmosphere would generate a LOT of heat, a lot more than a mere three thousand degrees, a ten minute drop would be a lot more than that. So, unless there is some really awesome heat shields a fast drop might not be that practical. The temperature of the sun is only twenty seven million degrees so an assault drop doesn’t get TOO hot. Of course the composition, density and weather effects of the atmosphere will have an impact as well. So the next challenge becomes detection and destruction. Currently the military is fielding weapons that can identify and destroy incoming artillery and mortar rounds. Weapons are being tested to identify and destroy incoming missiles. It should be assumed that technology will only get better. If a laser or weapon can shoot a round at every target it sees consider the twenty minute assault drop. Even if the defensive weapon can only see the targets for five minutes if it had a rate of fire of one round per second it could shoot three hundred targets. It would be very safe to assume the rate of fire would be much higher and there would be more than just one space defense weapon. Five such weapons could get 1500 targets in five minutes. Looking at current anti-artillery and anti-mortar weapons system they are gatling gun in form (20mm Phalanx Close-in Weapon system for example) and are designed to track and destroy small fast, maneuvering missiles. The Phalanx has a range of 3.6km and fires 4,500 rounds of 20mm rounds per minute. The rounds have a muzzle velocity of 1.1km per second. With some improvements they would make an excellent defense against anything airborne, extend the range, maybe up the caliber. . . . or go to energy weapons which might not have such a high rate of fire but will probably have a much better range. Energy weapons could be powered by shielded underground power plants. You get the idea. Anything the defensive turrets (automated too I might add, humans are too slow) can see can be shot down. Humans are not likely to be doing anything more than designating targets OR designating friendlies and the anti-aircraft weapons will do the rest. Anything not transmitting a valid and friendly IFF (Identification Friend or Foe) would be shot down. So. Landing a fleet of drop craft on a target is probably not going to end well if they have defensive batteries, which will be a lot cheaper than drop ships, space transports and human lives. There might be ways to get around that though. Before the drop ships are released a horde of drones are dropped. Numerous two to twenty shot weapons that are networked and dropped like chaff. When they are fired upon they network, identify what was shooting at them and fire back. Automated just like the defensive batteries. Maybe they have parachutes or something to keep them in the air longer, they would likely be considered disposable, like bullets for an infantryman. These drop drones would give drop ships or drop pods a chance to land on their target. Of course another solution is to not land ON the target but to land some distance away and move in on foot, which will take time and have other problems. Depending on the range and sensors of the anti-aircraft weapons, it is probably impossible to cover a planet with them. The distances are just too vast in most cases and then placing and servicing that many batteries is not practical. Currently satellites can count eggs on a table. With enough time and computing power space ships scanning the ground could possibly identify and target ground based defensive weapons, so it becomes important to hide them until they are needed. A planet is also a very big place. It is massive. Finding someone that doesn’t want to be found can become near impossible. In your home city try finding someone that doesn’t want to be found. Now give them a planet to hide on. Then again why does the target need to be assaulted? Why not just shoot it up from orbit and save lives? Of course if you could blind the sensors that increases the chances but how many lives will the commanders be betting with? As you can see it starts to get complicated fast.